Miami Slip and Fall Lawyers have to be ready for a classic defense tactic – they argue that the condition was open and obvious. At Wolfson Law Firm, our Miami Premises Liability Injury Attorneys we have seen many a defense lawyer argue that a Plaintiff cannot recover anything because what they slipped on was an open and obvious condition. What does that mean? Really, this comes up in two contexts. First, the Defendant may try to argue that the condition was not dangerous as well as open and obvious to the degree that they are entitled to have the Plaintiff’s case thrown out before trial. They do this at something called “summary judgment”. And this brings us to the second area where the “open and obvious” argument becomes an issue in a slip and fall case. That is when the Defendant cannot get the case tossed on summary judgment. Then, the case goes to trial. But the “open and obvious” argument is far from dead. At trial, the defense lawyers argue that the condition was one that the Plaintiff should have noticed and avoided. They do this even when that condition is something like the exposed rebar in the Grimes case. If you need a Miami slip and fall lawyer to take a look at your case and see whether there may be an issue that prevents you from getting to trial, call us at Wolfson Law Firm. We have experience arguing these issues in motions and at trial. Call us and we would be glad to tell you about it. At Wolfson Law Firm, our Miami Serious Injury Attorneys can help you proceed to pursue financial compensation from any person, retail store, mall, fast food store or public agency who might be responsible for your injuries. Call us at 305-285-1115 to set up a free consultation with a Miami Personal Injury Lawyer. The Wolfson Law Firm in Miami has been helping personal injury clients and the families of wrongful death victims for over 60 years. 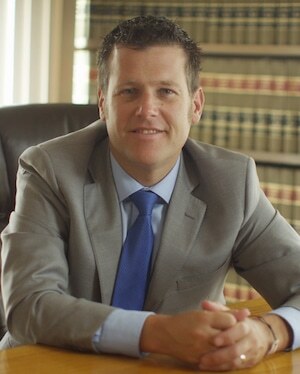 Jonah Wolfson is a bilingual personal injury attorney in Miami and is available to speak to you now. Please feel free to check our results. The Wolfson Law Firm also represents slip and fall accident victims in Liberty City, Key Largo, Pembroke Park, Allapattah, Hollywood, The Roads, North Miami, Kendale Lakes, Westchester, Fort Lauderdale, Miami Gardens, Lauderdale Lakes and other cities throughout South Florida.